AVD was instructed to design a 1 storey rear extension and with re-modelling of the internal spaces and the external garage and porch areas. 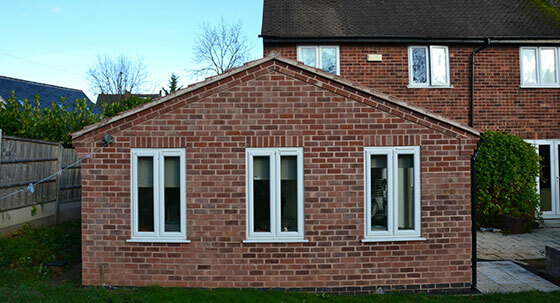 Our work included the design, Planning submission / Consultation and detailed design for Building Regulations. The proposals involved converting the existing kitchen into a study and proposing a new family room with kitchen area to rear of the dwelling. The existing garage and porch areas were re-modelled so that the roof over the rear extension wrapped around the house to the porch area to create continuity in the roof scape. From the street scene this architecturally improved the front elevation. The proposals were elevated to match in with the existing building fenestration.